was pretty damn good I thought. Smart, pacy SF played straight, with a nice, very (very) PKDick-esque hook and a satisfying conclusion. 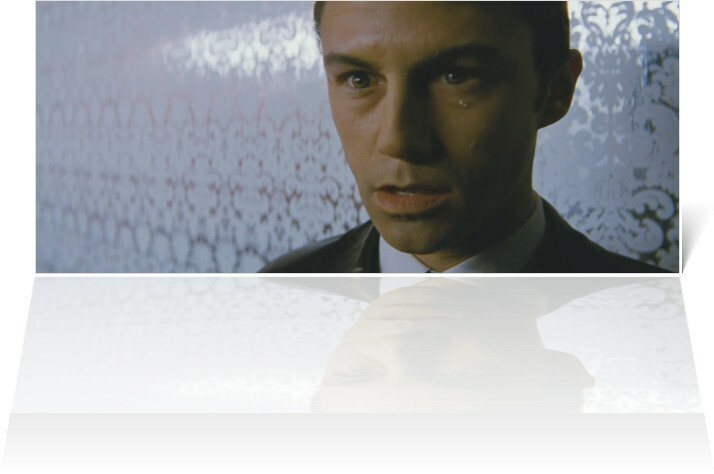 Joseph Gordon Levitt playing Tim Daly from Wings playing Joe, in Looper. I havent seen it yet. Been meaning to but kept forgetting about it so thanks for inadvertantly reminding me. P.S. I'm not sure if it's an age or a cynicism thing but I keep seeing all these young actors playing adult roles and I cant help thinking, are you even old enough to be playing that character? Yeah I wont talk spoilers as its a nice unpredictible plot, but Third Rock guy did pretty good I thought. I couldnt buy him as a grizzled 12 year old loner in Brick at all, it was too silly, but yeah he did good. Last edited by Velocity Kendall; November 3rd, 2012 at 09:48 AM. Cool, though, I don't mind spoilers as long as people let me know in advance. Not being able to talk about the plot of a good film isn't much fun so have at it. And yeah, me neither. I think as a smart talking high school detective noir type thing, Brick worked well, but by the time I watched it, I was probably too old to buy into it or take it seriously. Definitely one for the younger generations. i think it was a pretty good movie too. the only thing is that it could have been better if they dropped the whole telekinetic powers thing. but that's just my opinion. i think it wasn't necessary to tell the story and just made it more fantasy for me. i know that a sci-fi movie with time travel involved isn't going for realism at all and i'm not the guy who needs movies to be realistic, but it's a more "darkish" sci-fi movie and i think dropping the telekinetic stuff would have made it even more believable and more haunting. the time travel stuff for example was handled pretty good: it was used to create the plot and introduced just as much as needed to explain the story but there was no emphasis on it, which didn't make you want to explore all the twists of time travel and so on... but as i said that's just my opinion and in the end i think it's worth watching it.